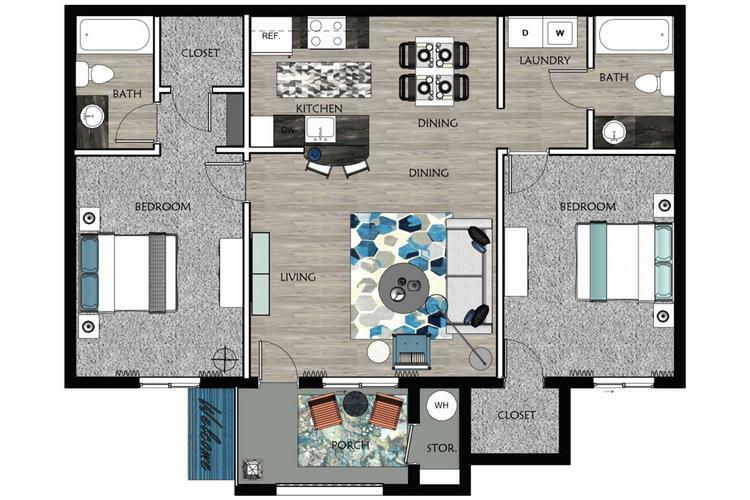 Our 2 bedroom apartments in Las Vegas, NV is a roommate style floor plan that features a master bedroom with walk in closet and private bathroom. The second bedroom features an over-sized closet and hall bathroom, and full sized washer and dryer. You’ll love entertaining guests in your new open-concept kitchen and will enjoy unwinding after a long day on your private patio!